This is a stunningly sad book. As I read the first few chapters, I couldn’t help but wonder why is it that we still tolerate such violence and suffering for Iranian women. This book is a story of amazing courage and strength. I believe we should all read it in the Canadian Book review club. In 1982, at the age of sixteen, Marina Nemat was arrested on false charges by Iranian Revolutionary guards and tortured in Tehran’s notorious Evin prison. At a time when most teenaged girls were choosing their prom dresses, Nemat was having her feet beaten by men with cables and listening to gunshots as her friends were executed. She was condemned to die but survived because one of the guards pleaded for her life. But the price Ali exacted was high: Nemat, a Christian, would have to convert to Islam and marry him. Soon Nemat found herself being welcomed lovingly into the family of her husband and captor. She learned that Ali was not the monster her actions suggested that although he was an interrogator in an evil regime, he was also a beloved son and brother who truly believed his unwilling wife would come to love him. Mirana Namat’s nightmare ended when members of a rival political faction assassinated Ali. She returned to prison but it was Ali’s family who eventually secured her release. She rejoined her own family but was further traumatized by their reluctance to acknowledge her ordeal. She found solace with the young man who had waited for her; they married and emigrated to Canada. This is an amazing story of faith and survival. I am SO glad that she had a chance at a new life and that this story ends very positively. 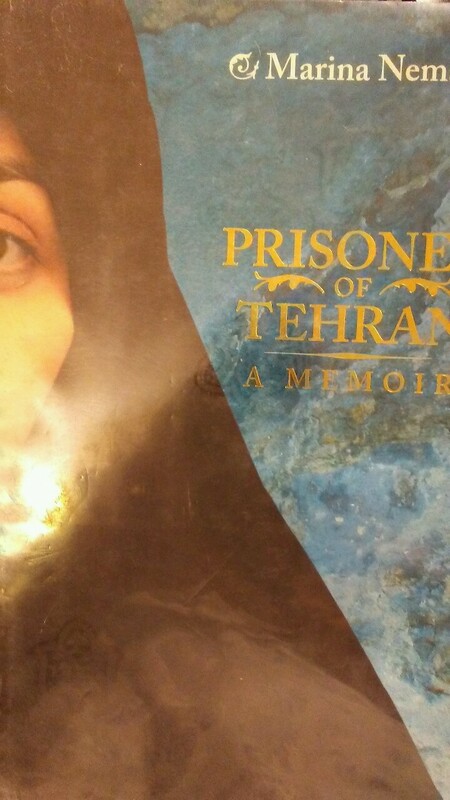 This entry was posted in Author from Southwestern Ontario, Iranian women, Strong Women's voices. Bookmark the permalink.